Washington [USA], Apr. 10 (ANI): Ahead of his hearing in the Senate and House on Tuesday and Wednesday respectively, Facebook CEO Mark Zuckerberg on Monday met with some lawmakers on Capitol Hill here, according to CBS News. Washington DC [United States], April 6 (ANI): The Trump administration on Thursday approved a contract to sell about $1.3 billion in artillery to Saudi Arabia as young Crown Prince Mohammed bin Salman concludes a marathon tour of the United States (US). Washington D.C. [USA], Mar 25 (ANI): US congressmen have called for the support for tougher gun control measures across the country and have shown solidarity for the "March for Our Lives" event which is underway in Washington D.C.
New Delhi [India], Mar 13 (ANI): The women lawmakers of the country have lashed out at the newly inducted Bharatiya Janata Party (BJP) member Naresh Agrawal, for his alleged sexist comment on actor and Rajya Sabha election candidate, Jaya Bachchan. Beijing [China], Mar. 11 (ANI): The National People's Congress passed a historic constitutional amendment on Sunday, formally removing term limits to enable Xi Jinping to stay on as the Chinese president beyond 2023. New Delhi [India], Feb 4. (ANI): The Bar Council of India has called its General Council Meet on Sunday to decide on the issue of ban on the Members of Legislative Assembly (MLAs) and Members of Parliament (MPs) from doubling up as practising advocates. Washington D.C [USA], Jan 23 (ANI): The United States lawmakers in the Senate on Monday agreed to vote on a short-term spending bill that would re-open the government and provide its funding by February 8. 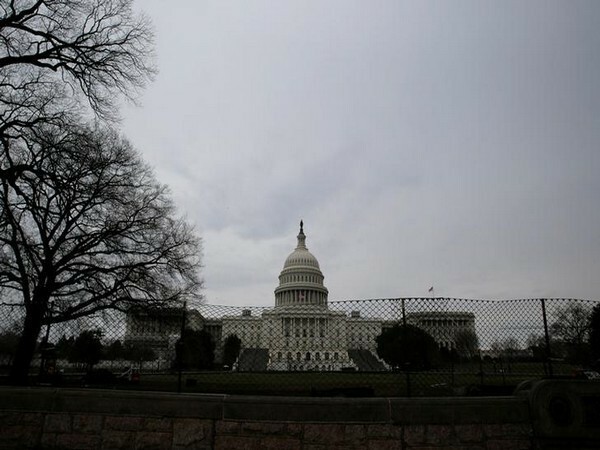 Washington DC [United States], Jan 19 (ANI): The United States House of Representatives passed a Republican-led bill aimed at avoiding a government shutdown. Washington DC [United States], Jan 12 (ANI): United States President Donald Trump on Friday went on a Twitter spree, expressing his apparent displeasure with the bipartisan DACA agreement branding it as "a big step backwards." New Delhi [India], Dec 22 (ANI): Parliamentarians on Friday demanded hike in their salaries as they contended that the lawmakers have been working over-time for the people. New Delhi [India], Dec 19 (ANI): Soon after the ongoing Parliament winter session resumed on Tuesday, Congress leaders in Rajya Sabha opposed the Centre's plan to set up 12 special courts to try pending criminal cases against MPs and MLAs. Lima [Peru], Dec 17 (ANI): Peruvian lawmakers have decided to move forward with proceedings to impeach President Pedro Pablo Kuczynski amid allegations of bribery in connection to one of the largest corruption scandals in Latin America.